Description: Students enrolled in the First Reconciliation program will be making their Reconciliation on this day. Parents are required to attend and participate in this sacrament. Description: Parish School of Religion is the religious education formation that is for all students who attend a private non catholic school or public school grades k-8th. Students must be enrolled to attend. 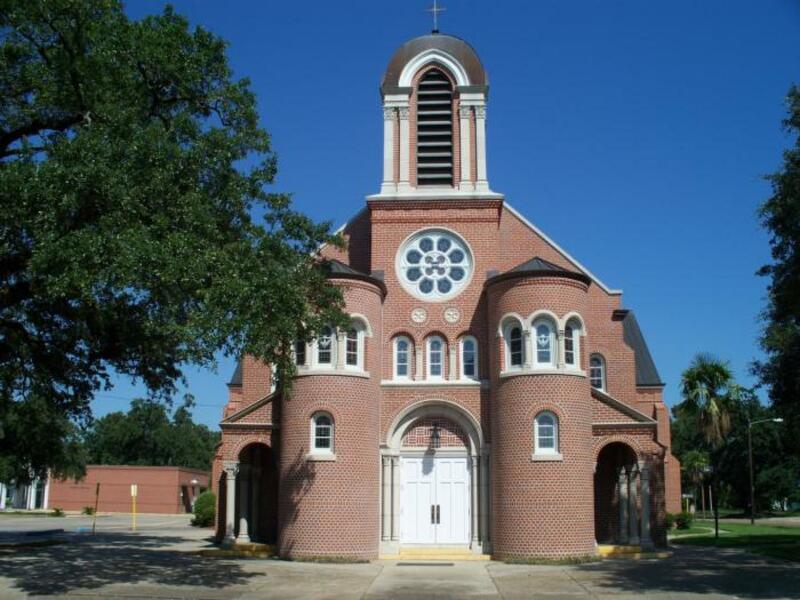 Description: The Sacrament of Baptism is celebrated once a month at St. Genevieve Catholic Church. Diocesan policy requires attendance of a Baptismal preparation course for first time parents. Parents must be registered at St. Genevieve or live in the boundaries of our parish. You may attend the class as early as possible; however, you must be registered. Pre-registration is required, please contact the Parish Office for details. Description: Life Teen is open to any High School Student who wishes to grow deeper in their relationship with God. Life Teen is also religious education for High School students who attend a private non catholic school or a public school. Description: Confirmation Class is a sacramental preparation class. Students who attend the class must have their homework completed before each class. Description: Parish School of Religion is the religious education formation that is for all students who attend a private non catholic school or public school grades k-8th. Students must be enrolled to attend classes. Students enrolled in the First Reconciliation program will be making their Reconciliation on this day. Parents are required to attend and participate in this sacrament. Parish School of Religion is the religious education formation that is for all students who attend a private non catholic school or public school grades k-8th. Students must be enrolled to attend. The Sacrament of Baptism is celebrated once a month at St. Genevieve Catholic Church. Diocesan policy requires attendance of a Baptismal preparation course for first time parents. Parents must be registered at St. Genevieve or live in the boundaries of our parish. You may attend the class as early as possible; however, you must be registered. Pre-registration is required, please contact the Parish Office for details. Life Teen is open to any High School Student who wishes to grow deeper in their relationship with God. Life Teen is also religious education for High School students who attend a private non catholic school or a public school. Confirmation Class is a sacramental preparation class. Students who attend the class must have their homework completed before each class. Parish School of Religion is the religious education formation that is for all students who attend a private non catholic school or public school grades k-8th. Students must be enrolled to attend classes.